Bioenergy is the main source of renewable energy today. IEA modelling also indicates that modern bioenergy is an essential component of the future low carbon global energy system if global climate change commitments are to be met, playing a particularly important role in helping to decarbonise sectors such as aviation, shipping and long haul road transport.However, the current rate of bioenergy deployment is well below the levels required in low carbon scenarios. Accelerated deployment is urgently needed to ramp up the contribution of sustainable bioenergy across all sectors, notably in the transport sector where consumption is required to triple by 2030. But bioenergy is a complex and sometimes controversial topic. There is an increasing understanding that only bioenergy that is supplied and used in a sustainable manner has a place in a low carbon energy future. 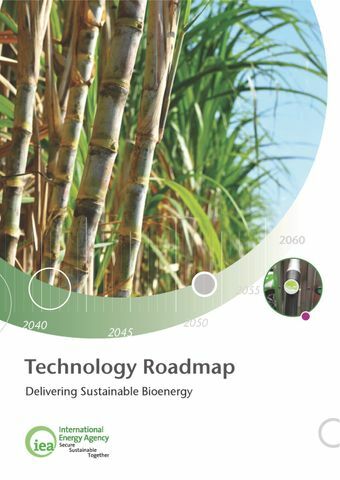 This Technology Roadmap re-examines the role of bioenergy in light of changes to the energy landscape over the past five years as well as recent experience in bioenergy policy, market development and regulation. It identifies the technical, policy and financial barriers to deployment, and suggests a range of solutions to overcome them.